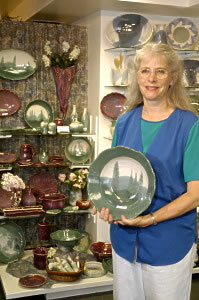 Visit the oldest Cooperative of Potters & Craftspeople on the West Coast! 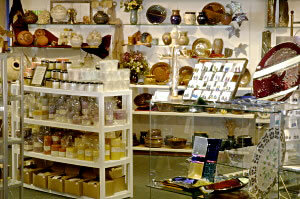 Located in the historic Liberty Building and next to Auntie's Bookstore, the Pottery Place Plus was founded in 1978 by a group of industrious potters looking for a way to market their craft. Now, over a quarter of a century later, the shop has evolved into an outlet for many different types of fine craft, including turned wood, metal sculpture, fiber, handcrafted candles and more. 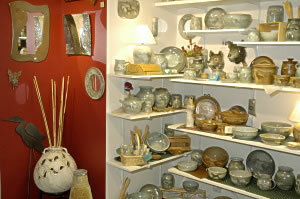 As its name implies, there is still a large collection of pottery available to satisfy every clay desire! Since the shop is owned and operated by the artists, you can be sure of personal attention and knowledgeable "art talk" with each visit.